I’m a bow tie kind of girl. 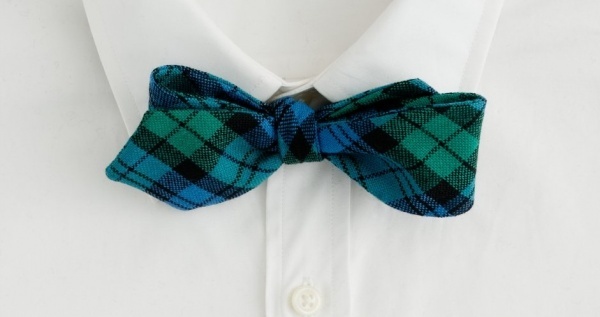 We all know that bow ties are in right now- whether you’re a fratstar or a hipster, they look good. But what about for girls? If you have read my previous posts, you know how I feel about menswear. For those who are new, I LOVE menswear. I seriously could dress guys all day long and be content… J. Crew, will you take me? Anyway, another point I’ve made is how I like to wear mens clothing such as shirts or cardigans. An androgynous look with a feminine twist is very in right now. One accessory that is gaining wide spread popularity for women to wear is the bow tie. This summer when I was working for JC Penney, there were a couple of girls who came in and they were shopping for bow ties for themselves! At that point, I knew I was not alone in my love for the accessory! 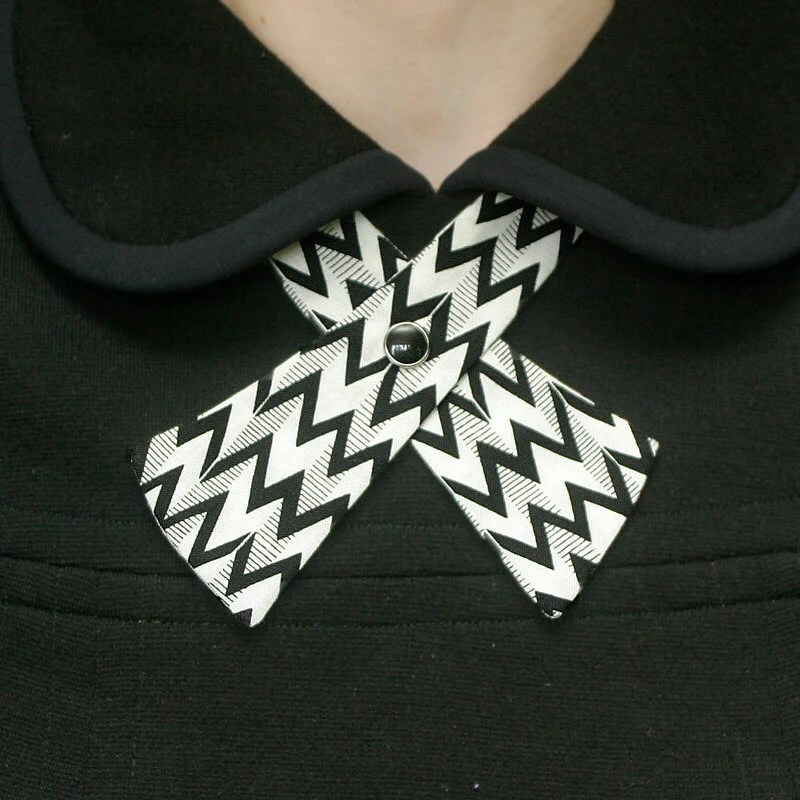 One of my favorite things to sew for Southern Elle are bow ties. I got so jealous that I started making them and wearing them as headbands. My sister looks adorable rocking this maroon star bow tie headband. I have a tendency to buy fabrics that are pretty and then figure out what I’d like to do with them. I fell in love with a brown cotton blend with white polka dots and decided to make a bow tie out of it…for myself. I love the way it looks with the chambray shirt. I’ll definitely be wearing it again. But don’t my word for the trend…Check out the Ralph Lauren ad below. She makes bow ties look phenomenal. Also, one of my favorite American made brand is Kiel James Patrick. 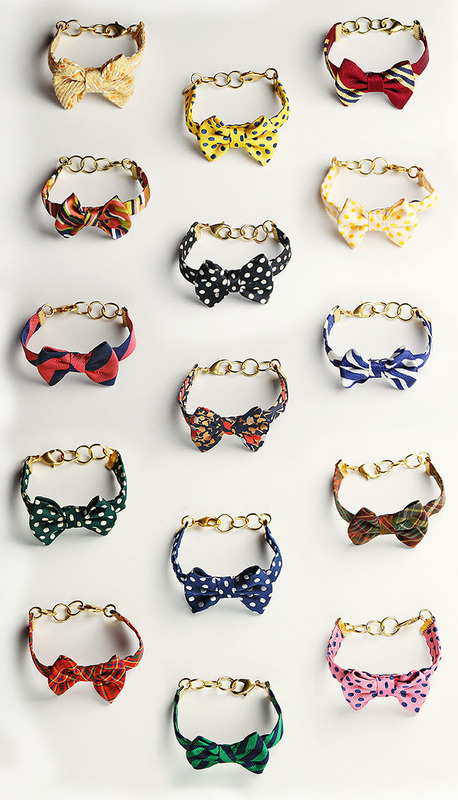 He is coming out with a new collection of bow tie bracelets. I’m in heaven. If the bow tie is a little too boyish for you, then try a similar idea with a scarf! If scarves are still to big for you, then rock a lady tie! They are basically necklaces for your shirt. This trend may be new for some, but in reality, it’s only resurfacing. We saw this hit in 2009, but the masses are just now picking it up. That shouldn’t surprise you though, because when a new idea occurs we are usually slow to adapt. Whether it’s for a costume or to show your trendy side, rock a bow tie and you can’t go wrong. p.s. Check out my latest Style post for Fleur Ibis! p.p.s. I graduate in 40 days. Thank you Shutterfly.